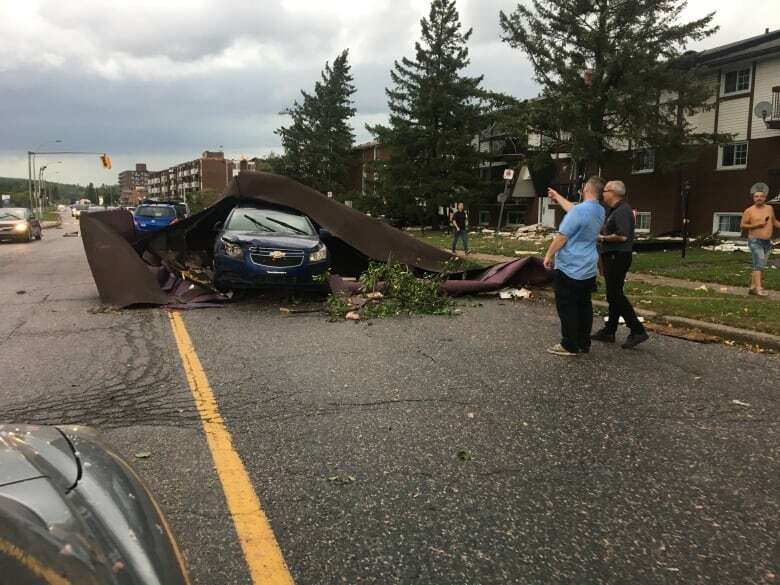 Hydro poles snapped into pieces, trees crushed homes and debris from flattened homes spread throughout neighbourhoods as part of the devastation from the Friday tornado in the Ottawa-Gatineau, Que., area. 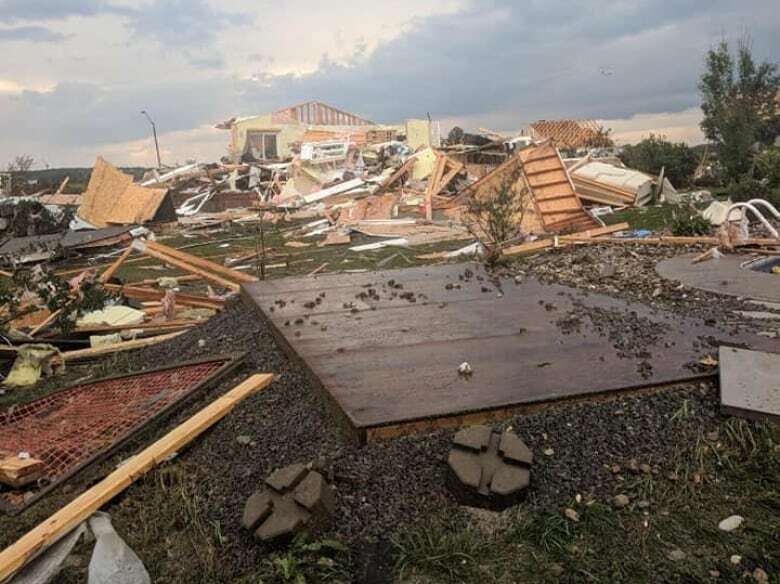 Photos by CBC journalists and residents capture the aftermath of the twister. 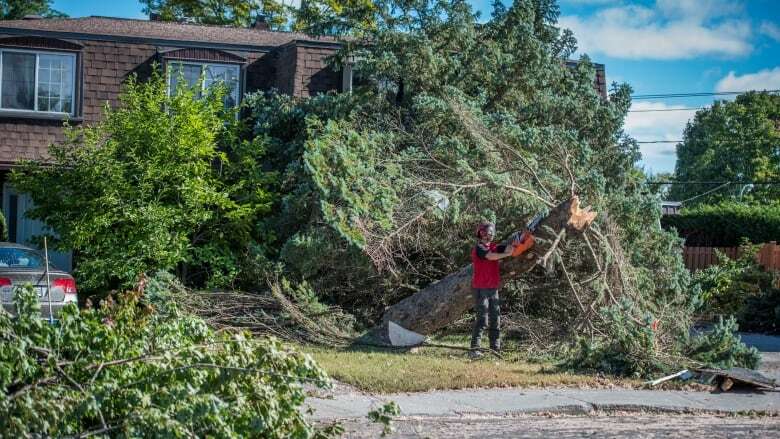 Downed trees and power lines have left thousands of residents without electricity on both sides of the Ottawa River following a tornado, high winds and rain that swept through Ottawa and Gatineau, Que., on Friday. 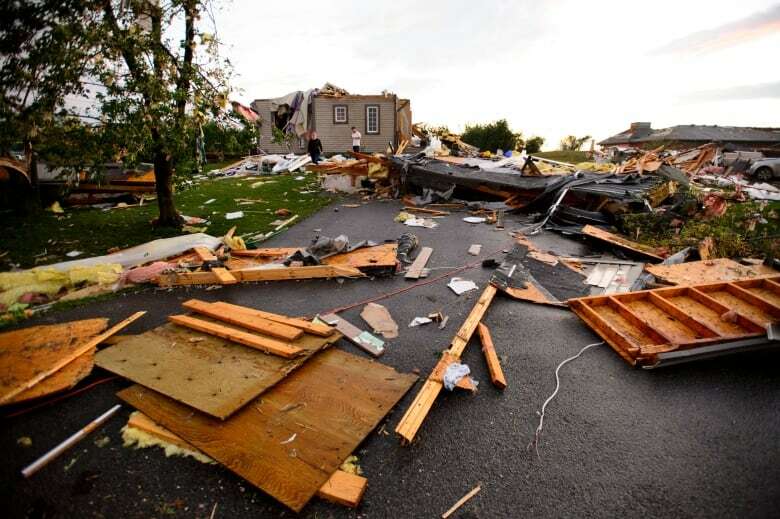 Some in the hardest-hit areas are dealing with damaged or destroyed homes, and several people were taken to hospital. A helicopter view at midday Saturday shows the path of destruction from Friday's tornado and related storms. 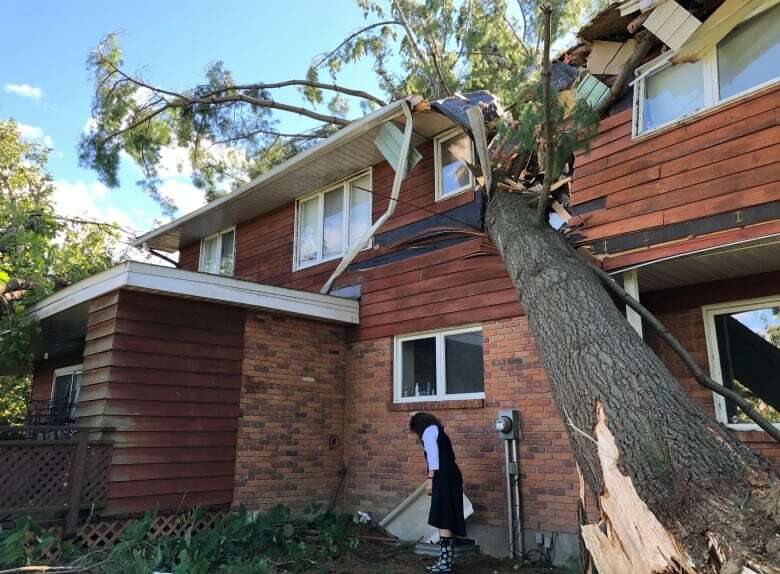 Heavy damage in Dunrobin, Ont. 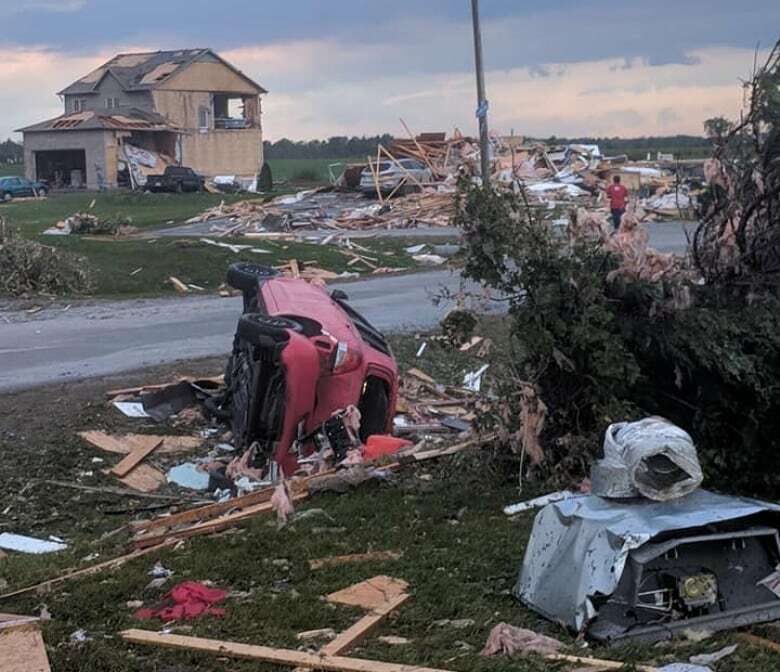 The tornado's path went through the small community of Dunrobin in Ottawa's west end, leaving 60 homes destroyed or damaged. Five people from the area were taken to hospital with serious injuries, officials said. 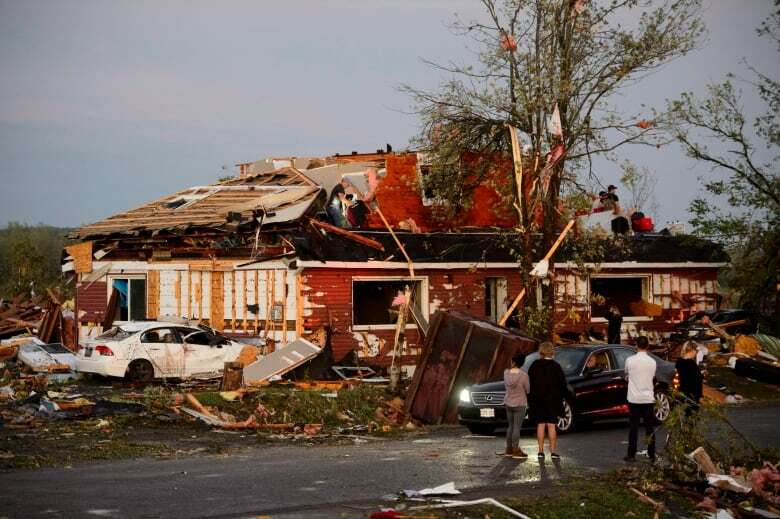 During the twister, large hail hit the community. Despite the mounting damage, people in Ottawa found humour. 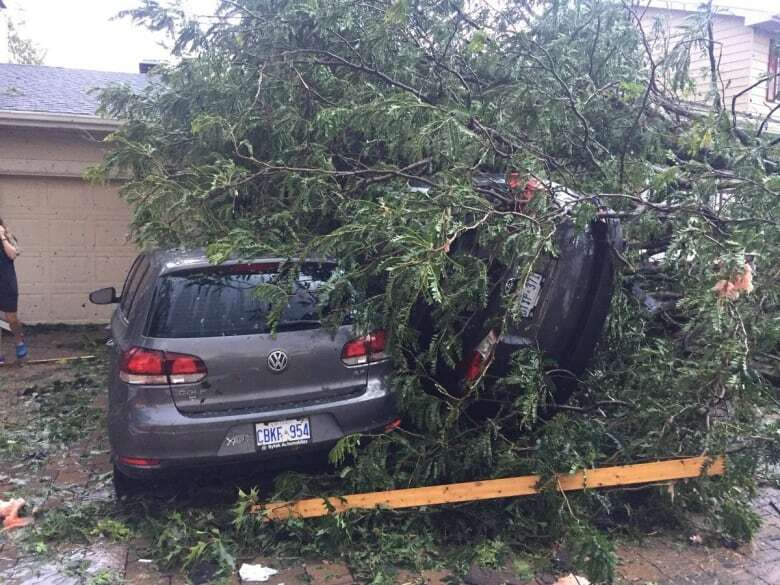 Heather Badenoch tweeted this photo with the caption "Car in a tree. No, the other car." 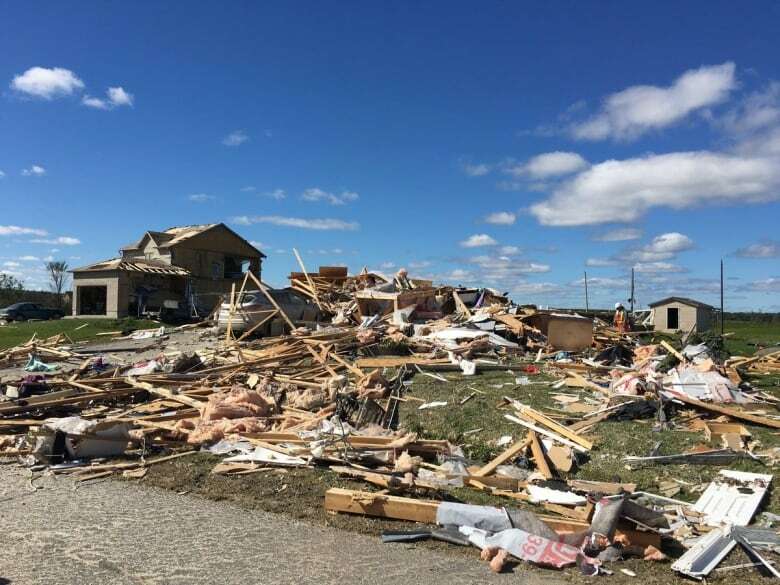 With several buildings in Dunrobin destroyed, debris spread through the area. 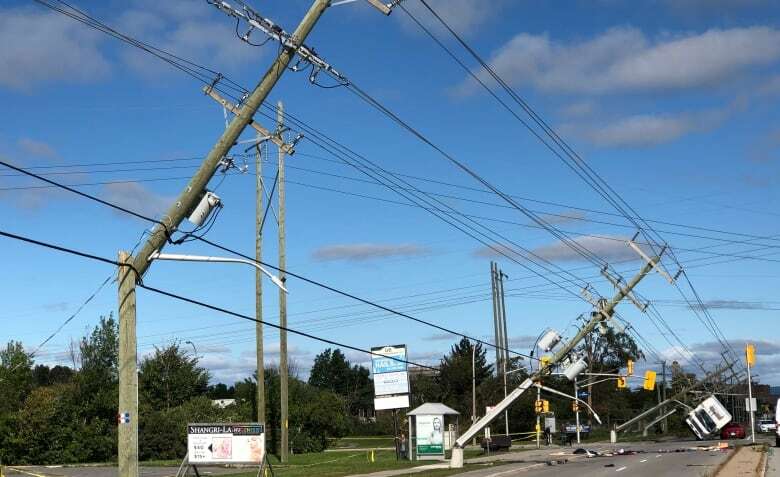 Hydro poles hung in twisted power lines over Greenbank Road in Ottawa's west end. 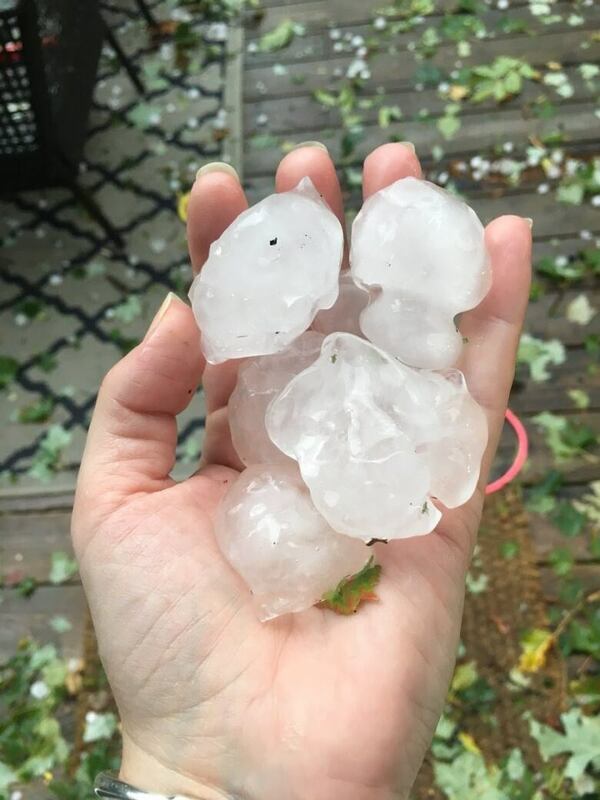 In Gatineau, Que. 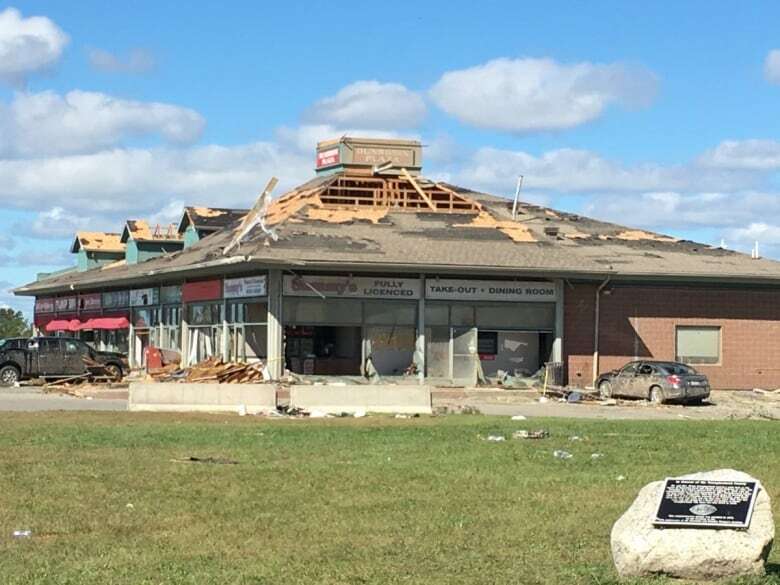 a roof was ripped from a building on Boulevard de la Cité-des-Jeunes. Objects thrown by high winds sit in stark contrast with a darkening sky. 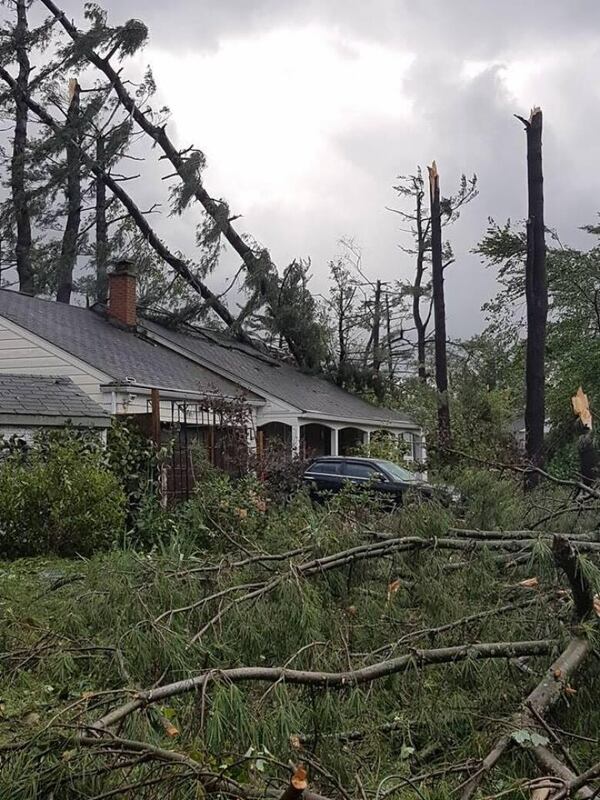 Some houses seemed almost untouched, surrounded by fallen trees. 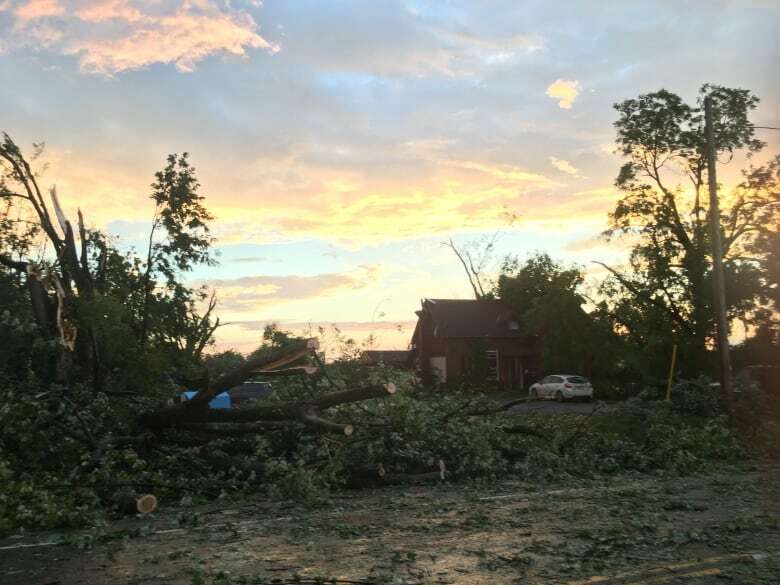 Some of the storm damage near Riverbrook Road in Nepean. 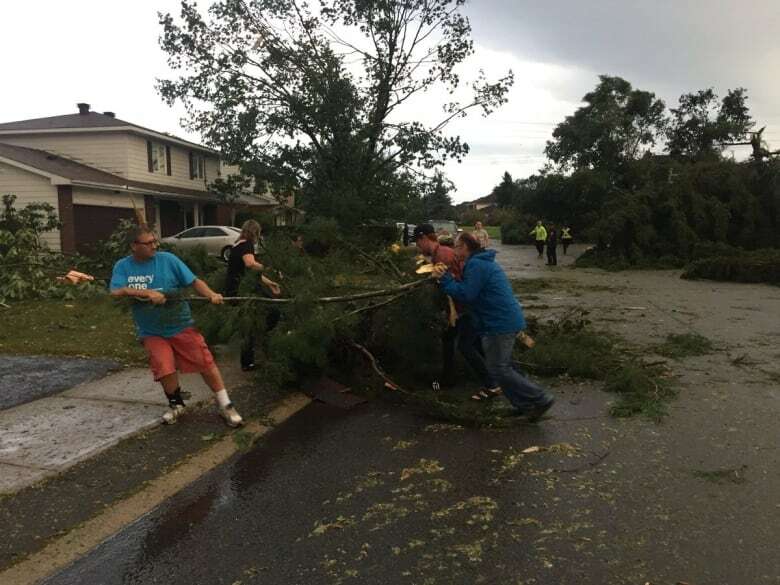 Neighbours worked together to clear a street of a fallen tree. 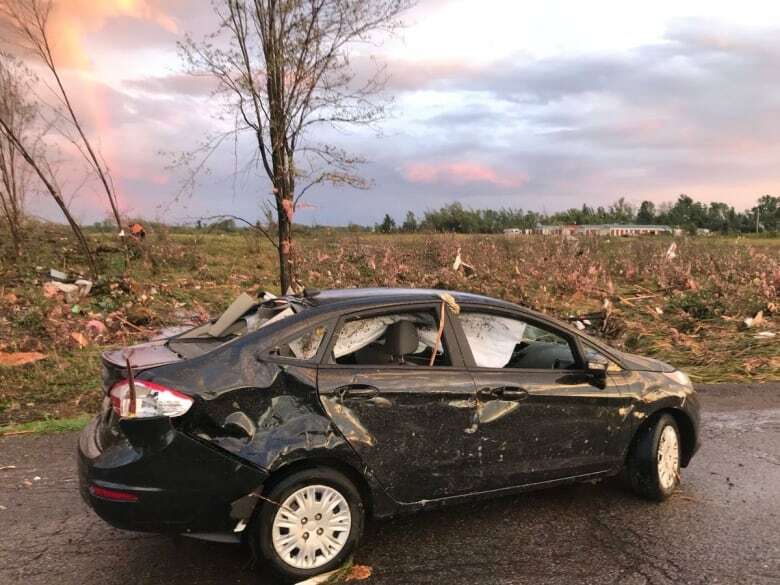 While covering the devastation in Dunrobin Friday evening, freelance journalist Matt Day found himself involved in an unlikely rescue.